Solution to all horrible EQUATIONs! There's always an ULTIMATE solution! And Here Comes ULTIMATE EQUATION SOLVER! 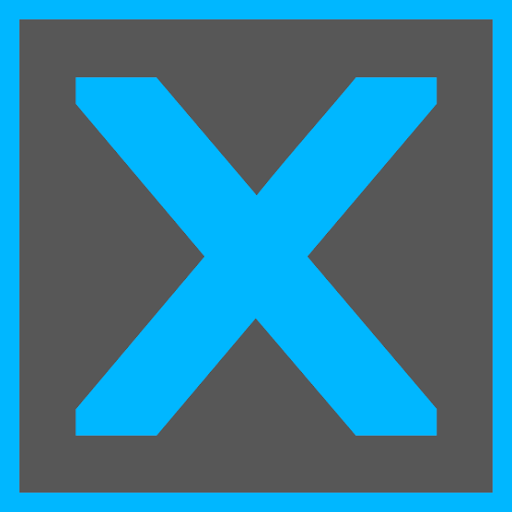 This app is preferably developed to solve numerous Polynomials up to 100 degrees! 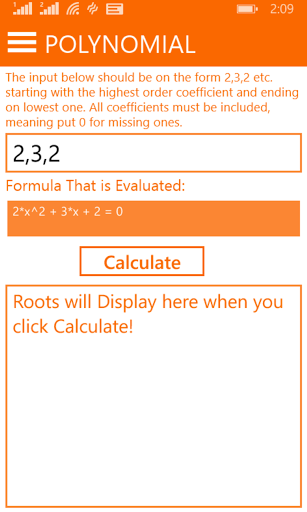 This app is also first FREE app to give both complex & real roots of a polynomial up to 100 degree! 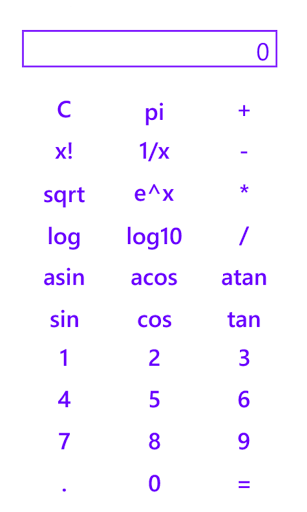 This app also has special Scientific Calculator (with basic design) targeted at simple queries. These queries include Standard Trigonometry functions, inverse trigonometry, logarithms. 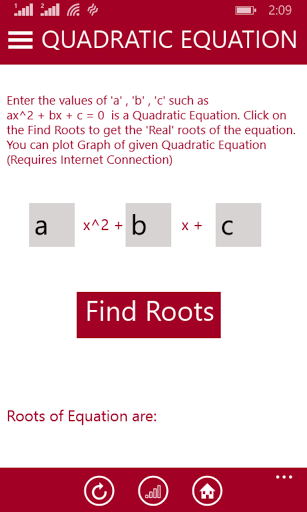 This app also has special section for Quadratic Equations , which also has a special Graph Plotting ability but it requires Internet connection . Another problem in this section is you cannot find unreal, i.e. complex roots. You need to go to Polynomial section of this app. 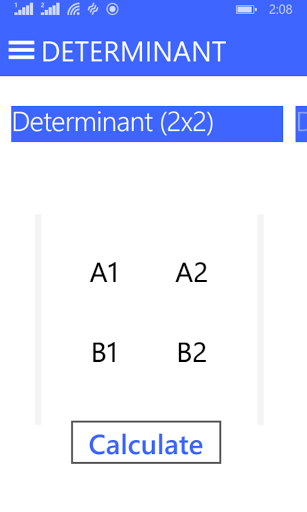 Perhaps one more interesting feature of this app is it's ability to solve DETERMINANT of Standard sizes 2x2 & 3x3. As you can see from all images, this app has its special adaption of ACCENT COLOUR theme. So, it becomes more personal and more Intuitive. 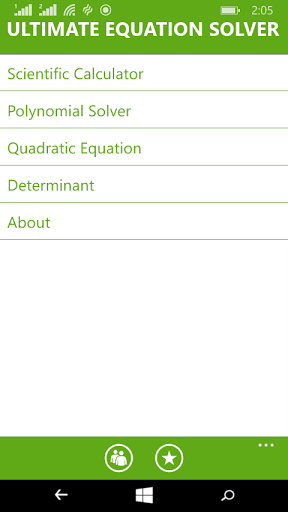 So, wrapping up, as you can see this app mainly focuses on Polynomial solving up to 100 degrees, so you may not expect much from scientific or QUADRATIC calculator. Though you can do a lot in DETERMINANT SOLVER also. All in all, it's well designed app with some bugs, but it have very good Developer's support, so you can submit your reviews/suggestions /feedback easily contacting the developer.